MAIDEN is finally available for purchase. Click the button at right to order paperback or Kindle ebook! Paperback copies are $11.99 $10.69 and Kindle ebooks are $2.99. If you wish to order a signed copy, email Chris at chris@csorensenwrite.com. 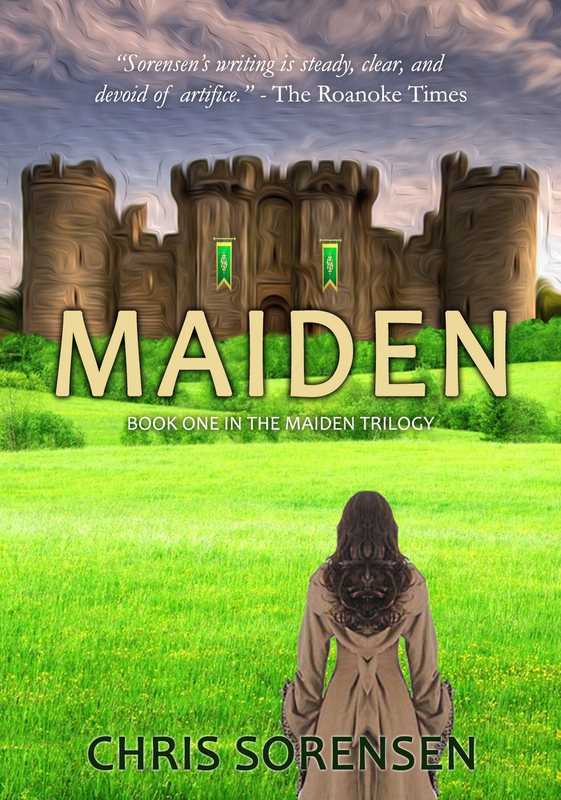 Add MAIDEN to your Goodreads shelf! MAIDEN is my debut YA novel (also appropriate for middle schoolers). A clean, uplifting coming-of-age adventure loosely inspired by the life of Joan of Arc. Jeanette is not like the other 17-year-old, gray-eyed girls in the war-torn kingdom of Amarin. While the other girls hope to regain the green eye color of their ancestors at spring festival and win the prince’s favor, Jeanette has other plans to escape her stifled village life. After the caravan arrives, Jeanette fears that she will have to trade one caged life for another. But a series of visions gives her the guidance and determination to break free and fulfill her true purpose – giving hope to her people and fighting to end the war. So happy for you and the release of your new book! We’d love to follow and read this! We still love ya! I will be looking forward to reading your book . I am so glad for you, it takes special people to write books . So excited to read this! It looks so good!